Question #1: Can artists be part of changing and creating residential activity on our high streets and in our town centres? Can artists and artist-led projects impact change in these ways in our towns? 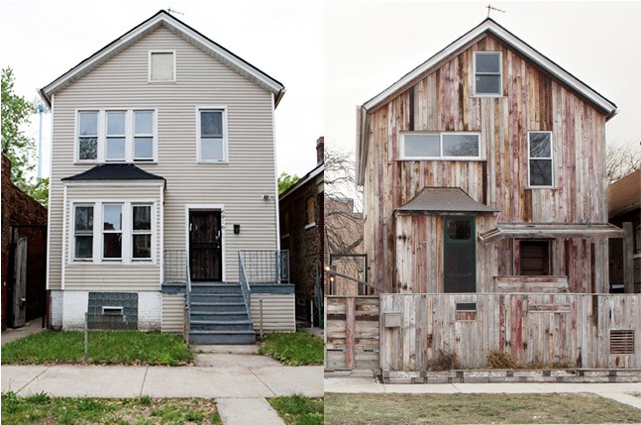 We discussed examples in America, including the work of Theaster Gates, who’s creative property development in parts of Chicago, through the founding of the Rebuild Foundation, such as the Dorchester Art + Houseing Collaborative which provides residence for both artists on residency and local community members, growing collaboration, conversation and activity between both groups. Could such a thing be possible in Scotland? Could planning laws, available funds and communities allow for such a growth? Do artists have the skills necessary to do this? (This was a bit difficult to answer in a straightforward way). The Vennel in Dumfries was quickly brought up, and it was agreed by most that it was high time they got back to Dumfries to re-think the place. (I mentioned there was no need to rush, town centre change is a gradual thing we are in early stages of!) This was part of a series of discussions exploring what a more cultural high street would look like, as part of Architecture and Design Scotland’s annual Place Challenge conference in Arbroath. Four days later, location: The Black-E, Liverpool. Context: Liverpool Biennal’s Community Arts Conference. The final panel is up after a day of sometimes heated discussions, and a definite division between audience and panellists/organisers. There is a palpable tension in the room, and a twitchy-ness from several hours sat listening in artificial light. This is the panel of my dreams; artists Jeanne van Heeswijk and Nina Edge, members of Homebaked and the Granby Community Land Trust, and design collective Assemble. Individually, each of these speakers presents an inspirational story of collaborative approaches, creative process, community intervention and making the impossible possible. Collectively, this was a place that stood up for their place and worked together to fight back for lost causes, and the history of many. 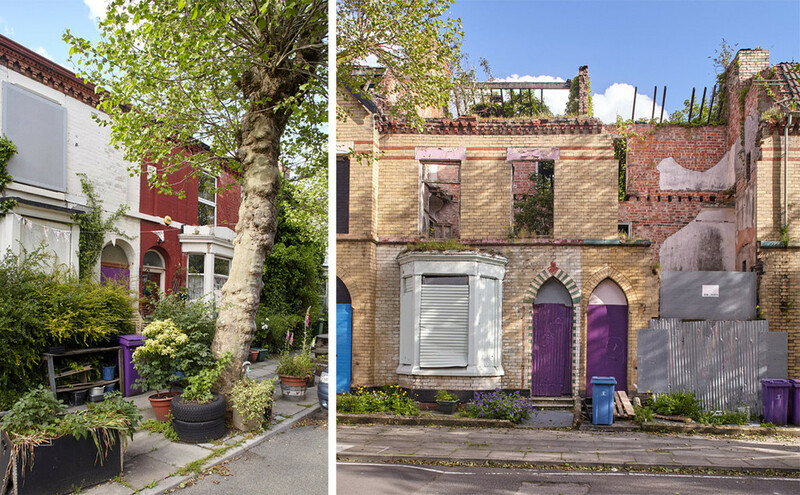 Nina Edge raises a curious point – of seven areas in Liverpool threatened with demolition, only three remain currently intact, and each of those areas has worked directly with creative practitioners of some form. It seems like creativity can galvanise and help create change in these communities. Nina’s work on committee evidence documents, and affecting legislature did not go un-praised. What was most notable was the way these different artists and organisations had worked together, in support of each other and in solidarity. 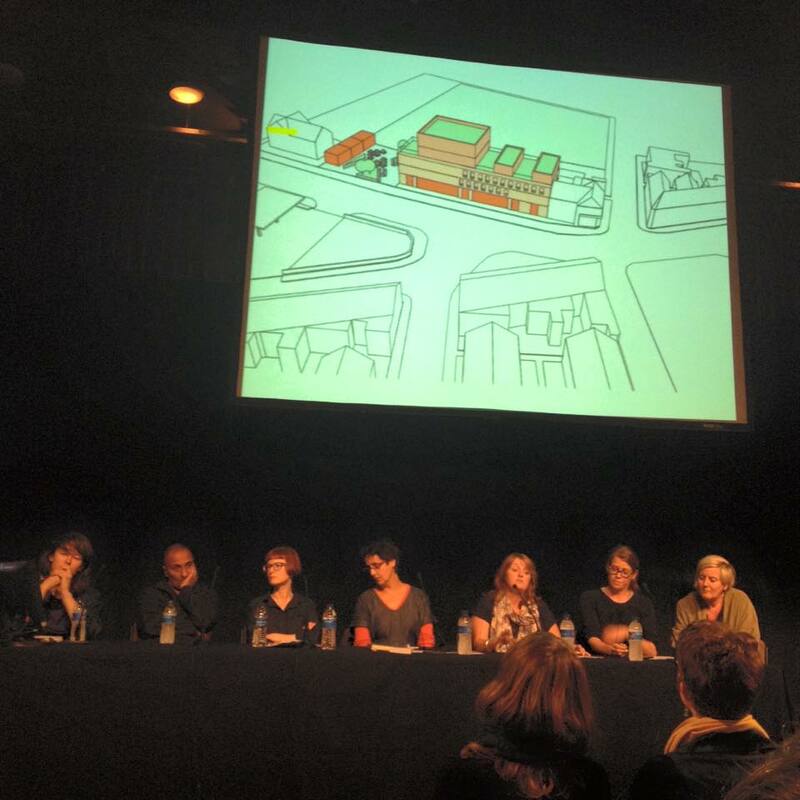 Also of note, from Homebaked was that without the support of the large scale ‘institutions’ (demonised somewhat throughout the day), in this case the Biennial, for being the bolster to push through small independent projects like Homebaked into securing the premises and holding back the bulldozers. Notes: It’s not all black and white. Large scale institutions have a responsibility, as –largely, comparatively- well funded organisations, to be risk-taking and forward thinking about any ‘outreach’ work they undertake. Larger institutions should not, by right deliver all ‘community art’ outreach in their areas, as are often not best suited to doing so, however much they may be required to reach their organisations out to wider audiences, the real-time benefits to their communities appear to be limited. Artists equally have a responsibility: we are not outwith ‘community’, but should perhaps be an integral part of it. We should be part of creating our places, and can input from being pebbles in ponds, to being connectors and links, question-ers, provokers, testers, builders and researchers. This isn’t to say that artists should only work locally, this sounds to be a balance, between building long term connections with place to growing new opportunities and bringing fresh energy into other places, either those with less creative energy in them or to work alongside the creative energy already present. Now, to spend the next while not using the word ‘community’.